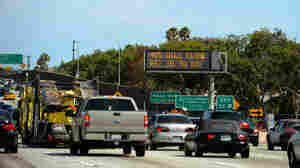 July 18, 2011  Much like The Rapture that didn't happen on May 21, the much-publicized "Carmageddon" in Los Angeles over this past weekend seems to been much ado about nothing. But be warned: It's all going to happen again next summer. "Carmaggedon II," anyone? 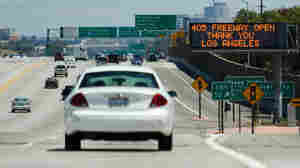 July 15, 2011  A 10-mile section of heavily traveled I-405 in Los Angeles closes this evening and isn't scheduled to reopen until early Monday. But officials are cautiously optimistic that work will go well and traffic might be able to flow again a little earlier. October 14, 2008  One BOTN'er has a personal stake in the outcome of the California fires.